Certainly, older systems had forms of these attributes applied, but the next generation has refined protections in order to meet the needs of an exponentially developing tech atmosphere. From cloud computing to the Internet of Things (IoT), there are many application threats on today’s networks that simply didn’t exist a few years ago. In order to retain security, these must be accounted for as quickly as possible. You need a system which can identify applications being run on the network. You’ll have allowed traffic, but there are also going to be patterns of traffic which you can’t allow. Identifying them may not be easy or even possible with antiquated systems. However, if you’ve got a next generation firewall, the right kind of traffic can be separated from the wrong kind expediently, accurately, and easily. MSP security solutions incorporating next-gen firewalls need to incorporate control as well as identification in reference to applications. There are a few different echelons of control which need to be considered. These include allowing or denying certain apps and their functions, shaping traffic through methods like bandwidth restriction, the inspection and decryption of incoming packages to determine whether they’re secure, and allowing specific groups or users who have been previously verified in the system. 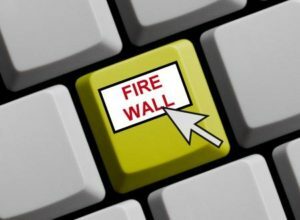 Proper application control through next-gen firewalls will increase productivity by decreasing things like malware. Additionally, they’ll keep data secure, preventing it from leaking. Finally, app-borne malware can be cut out of the equation–well, for the most part. Something that next-gen firewall solutions really excel at today is the prevention of threats. This is possible through proactive detection matrices which are able to parse through a network via control and anticipate that which may be a threat. When apps are controlled, software that runs on a network can be vetted from the start. If there isn’t app control, then the firewall won’t be as successful as it could be. Remember, even the best firewall can’t be your only means of defense. You’ll need regular patches, password protection, and other common means of security. Ultimately, your security solutions can’t exist in a one-dimensional way. You need to have multiple areas where protections are put in place. From firewalls to antivirus software, there are a lot of regions to cover. One of the most important involves non-technological means of protection. That is to say: you want individuals to be monitoring your operations, proactively to determine whether or not the suspicious behavior is going on. Cybercrime is an industry worth over $500 billion dollars. In fact, by 2019, costs which result from cyber crime are expected to top two trillion annually. Many cyber criminals are very intelligent individuals who closely understand that which makes up a given security system. As a result, they will not only overcome every tech solution against them, but they will continue to engineer new ways of undermining security. The best cyber criminals likely worked in cyber security at some point. So you need proactive monitoring in order to catch activity which has been designed specifically to work around modern computer security methods. Additionally, you’ll want to conduct at least a few pen tests. Penetration testing brings a professional IT individual into contact with your system and invites them to find vulnerabilities. If you haven’t conducted any tests of this kind, you may have weaknesses and no security agency can help resolve because nobody knows they exist. Beyond the firewall, there are many areas of security which are necessary for dependable operations. You want to know what you need to go in. The next time you look at MSP security options, ask about firewall application control, as well as proactive monitoring and penetration testing. With cybercrime on the rise, no measures are too extensive. Lance Stone established On Time Tech in 2004 to provide support and IT services in San Francisco for small to mid-size businesses. Prior to On Time Tech, Lance graduated from LMU in 1994, obtaining a business degree with an emphasis on information systems. He worked as an IT Director for several law firms and accounting firms in Los Angeles during the mid to late 90’s. In December 1999, he moved to the Bay Area to work as an Internet System Engineer at the data centers that ran Google and Yahoo. After several years of working in the enterprise, Lance decided to create something meaningful. He wanted to build an IT consulting company in San Francisco that was a positive work environment for himself and others. At On Time Tech, Lance always says, “We work together.” In fact, their IT support team in San Francisco has weekly company meetings and yearly company outings. Lance believes in doing what’s best with his San Francisco customer's IT Support. When he approaches a problem, he does so with high morals and integrity. 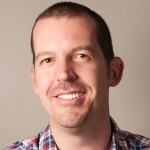 Lance resides in Danville, CA, with his wife and two children. He enjoys hiking, biking, and learning about science; but above all, his family is the most important hobby of his. To find out more about On Time Techs IT Services in San Francisco please visit our website.